The clock is ticking. My term paper is due for psych, mobile app needs to be created for computer science and videos put together for Professor Larson’s journalism class. Wow, I’m really a procrastinator. But lucky for me, I can accomplish all of this by heading down to my university’s Mac lab. That in a nutshell is the college experience for many. 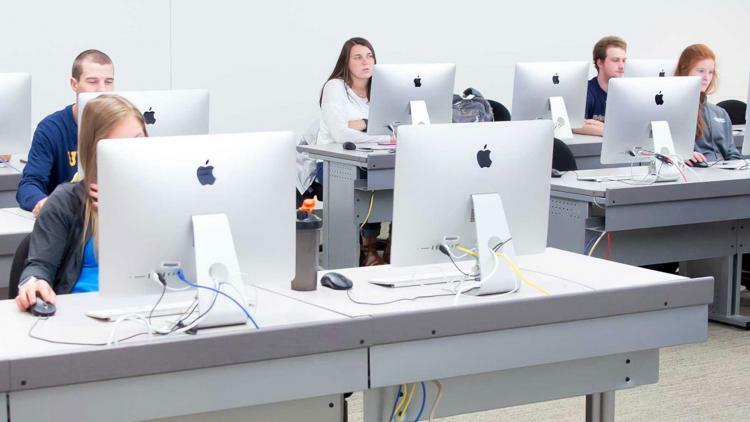 Work needs to get done and students can simply sit down at a lab Mac computer of their choosing and jump right into the apps and tools they need. And if they decide they’ve done enough for today, they can save their work and pick up exactly where they left off tomorrow. Even if they choose a different computer or another lab altogether. So maintaining a Mac lab must be pretty simple, right? To get Mac labs up and running, today’s IT typically relies on imaging machines. Creating a base image that includes the operating system, applications, software and settings is so ingrained in IT and the student workers they employ, that the thought of graduating to a better process may seem foreign. Instead, they strap up their high-tops and prepare to manually image machines by plugging in a thumb drive to each Mac and uploading the image. This requires a lot of hands-on, time-consuming work from IT. And with base images traditionally being incredibly large files, they take a long time to load. Which is not good for students, since machines that are in the process of being imaged are off limits. So, I guess when I cruised into the lab and immediately began my work, I really did get lucky there was a machine available. Students attend universities to get smarter and prepare themselves to be the best at their chosen profession. IT can invoke a similar mentality and instead of working harder by running from computer to computer to image, they can work smarter and utilize the technology that higher education has at their disposal. Download our white paper on a reimagined Mac lab experience to learn more about an easier, smarter way to manage your computers.